We will be on the air today with our host Minister Lorrie Timbs from "Empowered Radio". 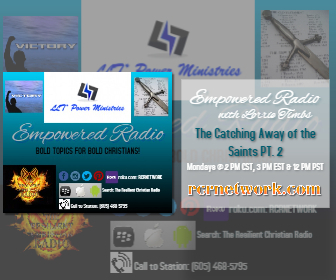 The topic will be “The Catching Away of the Saints PT. 2"